This Hamax child seat's 20 degree reclining facility allows your young one to enjoy a wee Siesta while you pedal. The polypropylene seat is specially moulded to accommodate a helmeted head comfortably. The seat's integral rack adds an element of suspension to damp road / trail shock. This Hamax child seat's 20 degree reclining facility allows your young one to enjoy a wee Siesta while you pedal. Even when reclined, the Hamax Siesta has been designed to ensure the bike's centre of gravity does not move too far backwards, so the bike remains remarkably stable to ride. The UV-stabilised polypropylene seat is specially moulded to accommodate a helmeted head comfortably. 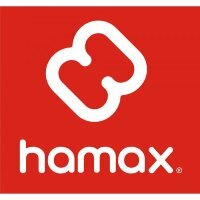 The Hamax Double Buckle System is secure yet easy for the parent to open and close with one hand while supporting the bike with the other hand. This buckle can't be opened by the child. Adjustable safety harness and foot supports. The seat's integral rack adds an element of suspension to damp road / trail shock. Check this You Tube videoto show how a Hamax Siesta copes with roads that are less than smooth. This rack's universal bracket fits almost any frame seat tube, including oval tubes, between 28 and 40mm diameter without interfering with, for instance, a front derailleur cable routed down the seat tube. With practice, this rack's universal bracket makes it easy to fit the Hamax child seat to the bike and remove it when not required. The Hamax Siesta can be mounted to bikes with or without a pannier rack. Suitable for children from around 9 months old.